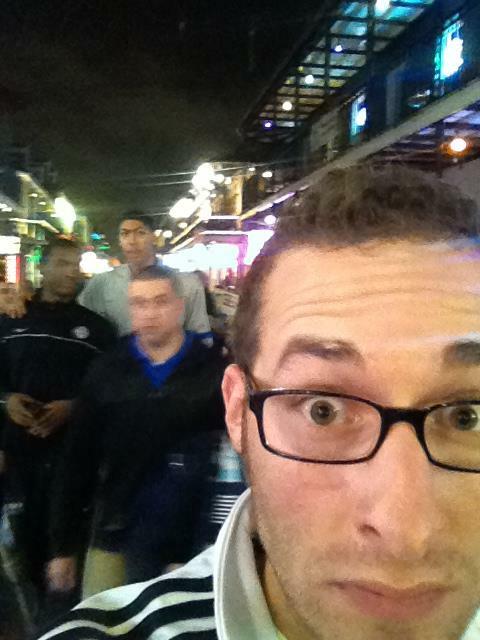 Thanks to Nick for grabbing this on Bourbon St. Those are Kentucky players Dorom Lamb and future millionaire Anthony Davis in the background. Mark Gottfried has done a good job harnessing the talent left behind by Sydney Lowe. They'll play Tuesday, but at least they are in (at least IMO). No soup for you M$U... enjoy the NIT! I was next to Lamb and said "Hey good luck this week" and he pretty much ignored me. They weren't stopping really for anybody, which is understandable. This was on Wednesday, though, before UK fans REALLY took over Bourbon Street.